So Chipotle recently shut down its Southeast Asian restaurant chain, ShopHouse and a new kid on the block is moving in and taking over where Chipotle left off. After Chipotle yanked it’s chains for failing to generate sufficient revenue, BIBIBOP swooped in and bought up the leases to all of the fifteen locations nationwide. We’re not sure if you’ve heard of them – but they’re kind of a big deal. So if you haven’t, just know you will, because BIBIBOP is coming at you face first and full speed — and we’re not going to lie but we’re pretty excited. For those of you not familiar with the chain, they are an Asian grill restaurant which had their not-so-humble beginnings in the northeast only four years ago. 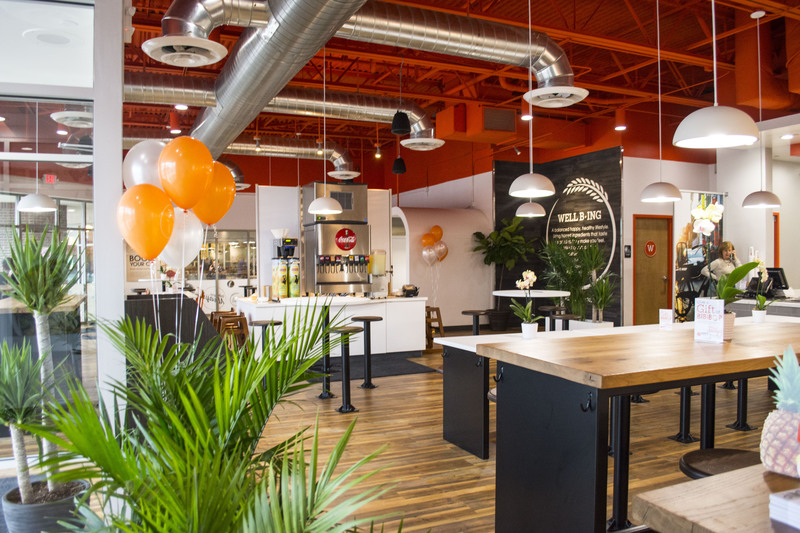 Based in Columbus, Ohio, the restaurant concept is a subsidiary of Gosh Enterprises Inc. and the brainchild of entrepreneur and CEO Charley Shin. Shin is an international restauranteur and is responsible for the popular Charleys Philly Steaks franchises, which have opened hundreds of locations all over the globe. The restaurant specializes in traditional Korean bibimbap dishes, which have become relatively popular in recent years due to their healthy content. The dishes consist of what the website coins “perfecty steamed rice” and patrons of the establishment have the option of customizing their hearts out. The craze caught on fast with the company expanding into three more locations only a year after their opening in Columbus, Ohio. This comes as no surprise as CEO Charley Shin is no spring chicken when it comes to entrepreneurial pursuits. “I’ve been in this industry such a long time; I feel I don’t know anything else!” Shin told QSR magazine in a 2016 interview. While his second restaurant chain may have had some not-so-humble beginnings, Shin on the other hand has. He began dishwashing as a teenager for years at one of his hometown’s local Japanese steakehouses. Once graduated from Ohio State University, he had his eyes set on quick-serve concepts and was inspired by the various eatery options on his college campus. He started franchising and the rest history. A recent press release stated that the expansion into the DC market is not it’s only venture. They are slated to additionally open in other areas around the nation Los Angeles, Chicago and Cleveland and they are spreading like wildfire. The ambitious plan is set to more than double the current number of BIBIBOP restaurants in the nation. 11584 Old Georgetown Road at Pike & Rose in Rockville was the first one to land with the company setting up a Facebook event page offering customers one free meal from 11AM to 2PM that day. 4820 Bethesda Avenue in downtown Bethesda, Maryland followed suit in the same manner and we’ve got a Georgetown location, as well as a Dupont Circle location.. So – mark it down for your next lunch out! Thanks Betsy! I appreciate it!